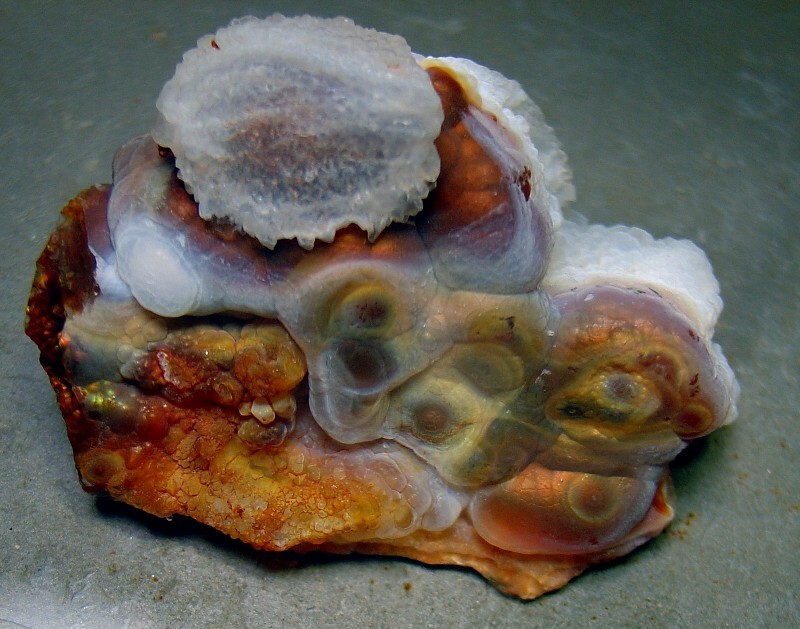 Known for it's high quality fire agate gemstones and with it's rough often having multiple layers of fire banding, Slaughter Mountain Fire Agate is well suited for gemstone carving purposes. The mine at Slaughter Mountain is known for producing high quality fire agate gemstones, with intense color variations from bright reds and oranges to intense greens, purples and blues. The mountain, which is the highest point in the Gila Mountains, is over 6500 feet in elevation and lies within Graham County, Arizona. The fire agate mineral deposit is located on the San Carlos Apache Indian Reservation, and it's mining can currently only be performed by members of the San Carlos Tribe. 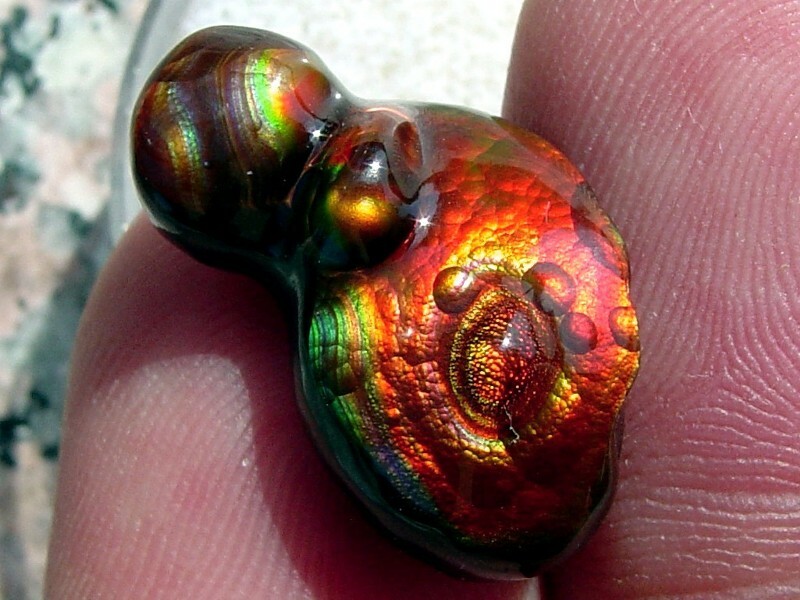 Slaughter Mountain is currently the largest producing fire agate mine within the United States with several tribal members actively mining the gemstone deposit. Large quantities of rough are usually available during the annual Tucson Gem and Mineral Show and much of the material is sold throughout the year to rock shops and other individuals.